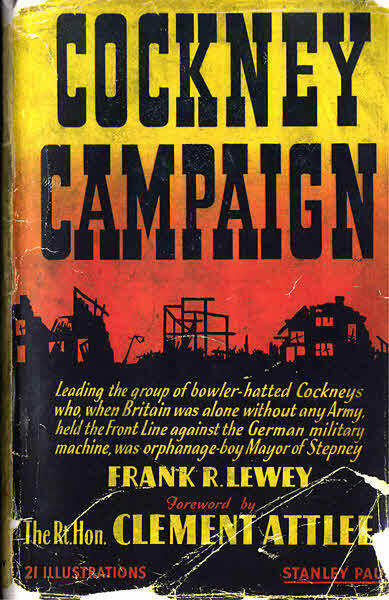 Cockney Campaign, published 1944. Written by Frank Lewey (1893 – 1948), Mayor of Stepney 1939 - 1940 and a Stepney Councillor for all but three years between 1928 and his death. He describes life in Stepney from the start of the blitz and how people reacted. How the prewar fears of the authorities that the immigrant portions of the population would panic were unjustified and describes many local heroes. A scarce book that was later reprinted by Tower Hamlets Library Service.